This little 2x20 IDC Breadboard Helper is great in conjunction with any 40-pin IDC cables. It comes in two parts, a 'pin-through' socket and a male header. 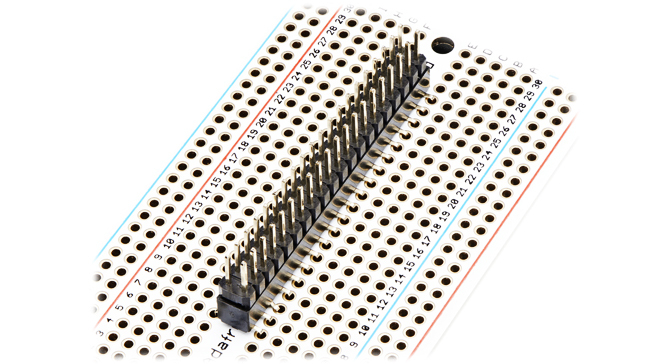 The socket straddles the center of a breadboard or Perma-Proto and then header plugs into the top of the socket. Since IDC cables are standard, this is a good and cheap hack for prototyping. Works best when soldered in place. 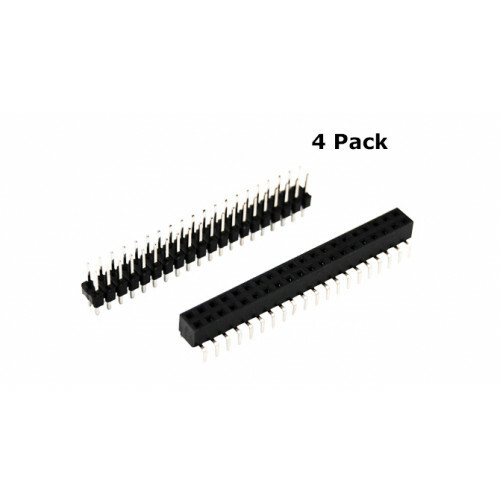 IDC 2X5 Wide Connector Kit (4 Pack) This little 2x5 (10 pin - 0.1 spaced) IDC Breadboard Helper is great in conjunction with any 10-pin IDC cables. 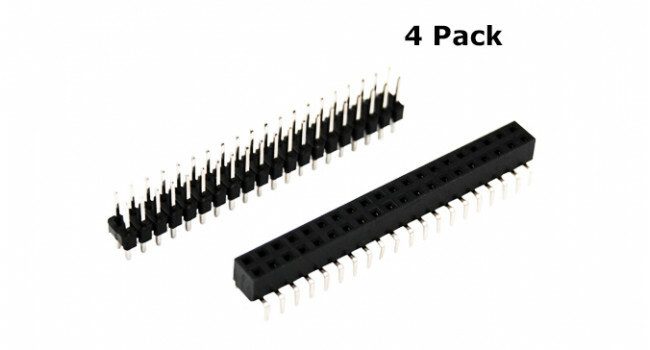 It comes in two parts, a 'pin-through' socket and a..
IDC 2X12 Wide Connector Kit (4 Pack) This little 2x12 IDC Breadboard Helper is great in conjunction with any 24-pin IDC cables. It comes in two parts, a 'pin-through' socket and a male header. The so..